Bucherer's latest blue special edition is a cool chronograph take on Oris' vintage dive watch. 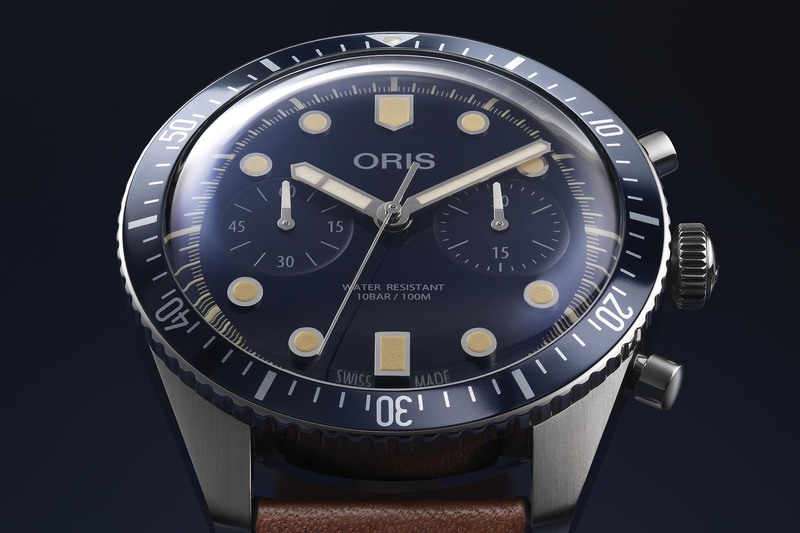 It was just a matter of time before the regular stainless steel version of the Oris Divers Sixty-Five Chronograph would make its debut. 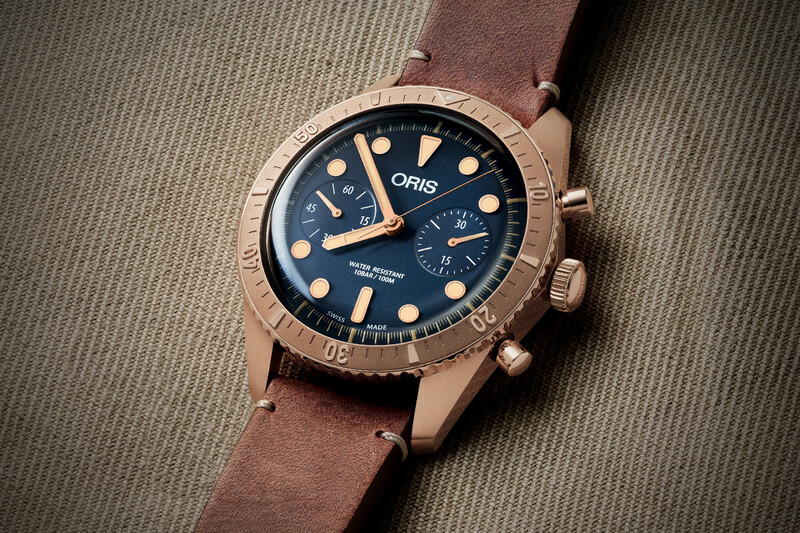 We knew it after seeing the Bronze Carl Brashear model, we just didn’t know how and when… The wait is over, as the first steel edition of the Sixty-Five Chronograph is out, however, it isn’t just an Oris; it is also a Bucherer-themed watch. Meet the new (and cool) Oris Divers Sixty-Five Chronograph Bucherer Blue Editions. 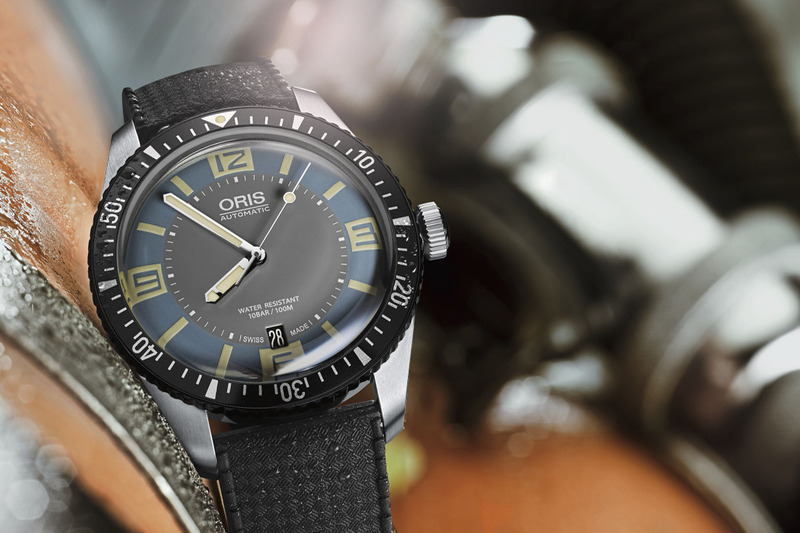 The Divers Sixty-Five is Oris’ most successful collection of the last five years. 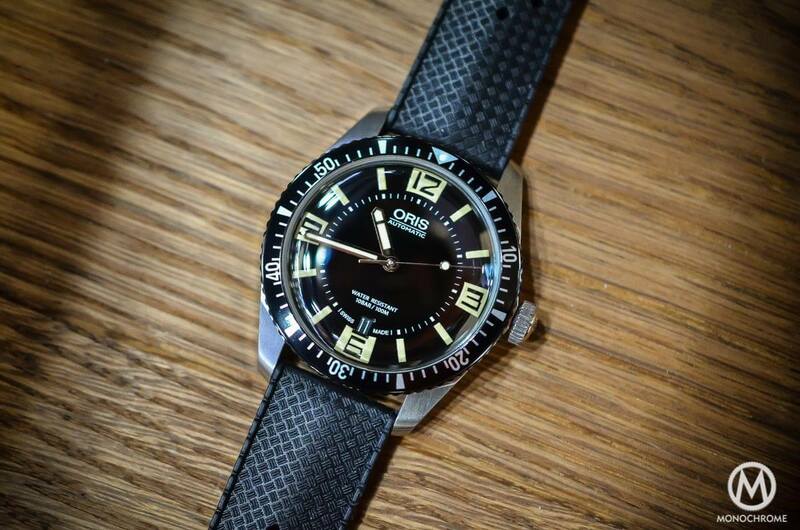 An affordable, well-executed, good-looking diver with a fair amount of vintage elements, it has been praised by many – including us. What started as a stand-alone piece quickly became a full collection, with 36mm, 40mm, and 42mm models and with steel, ‘BiCo’ steel-and-bronze or full bronze versions. 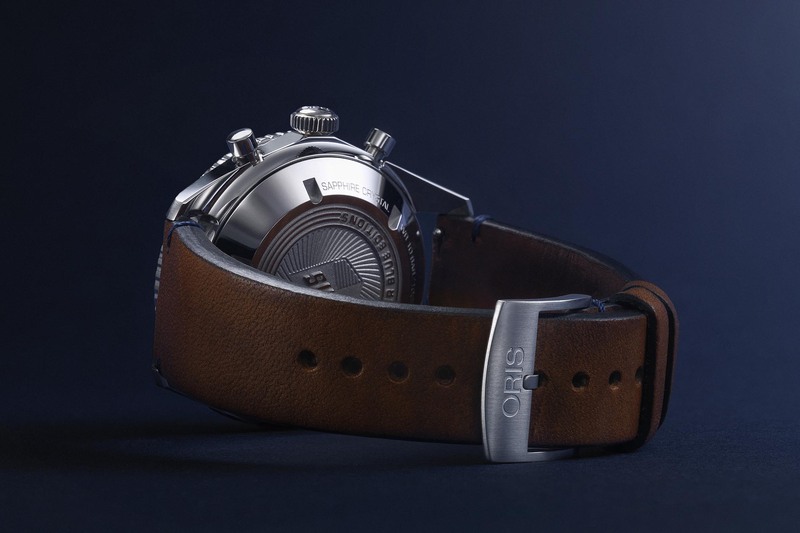 Last year saw the first introduction of a complication in this collection, with the limited edition Oris Carl Brashear Chronograph and its full bronze case. We knew this watch was a teaser for an upcoming regular-production steel model, however, we didn’t know that the inaugural watch was to be branded Bucherer as well. But here it is. It is rather surprising to see the Divers Sixty-Five Chronograph bring introduced as a special edition watch made with Bucherer and not as part of Oris’ collection – even though it is coming. 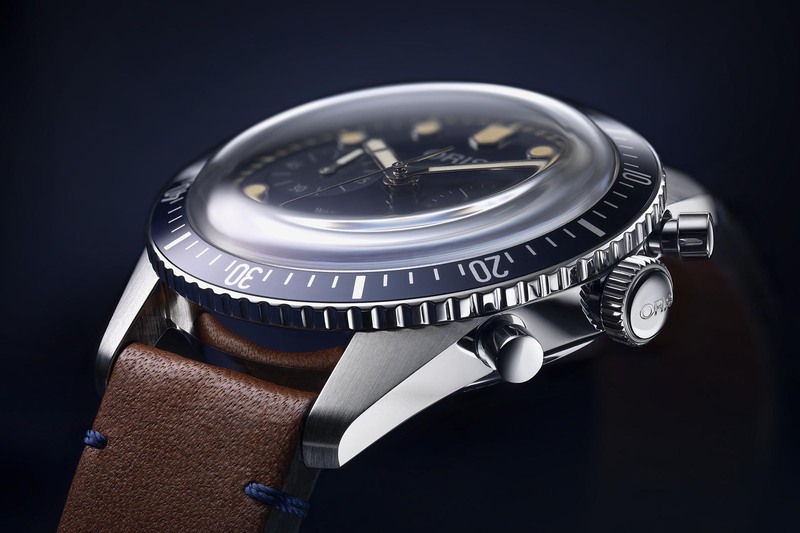 This new model is part of the numerous “Blue Editions” watches made by the Swiss, ultra-powerful retailer, alongside the Breguet Marine, the Blancpain Bathyscaphe, the Tudor BB Bronze or the IWC Portugeiser (to name a few). 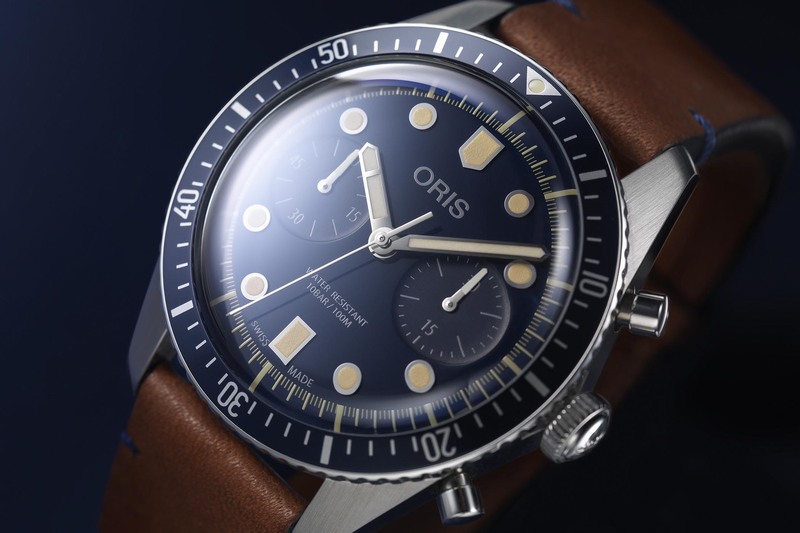 So perhaps it wasn’t all that surprising to see this new 65 being dressed in blue, from the dial to the bezel. 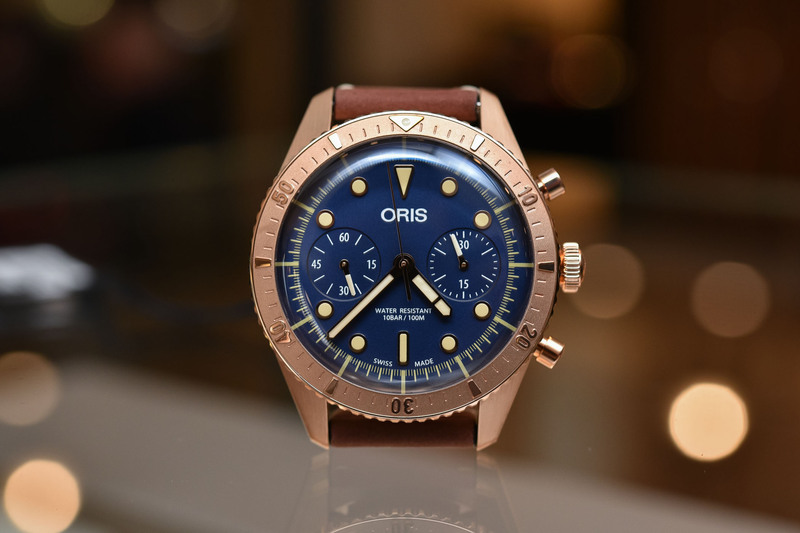 Basically, the Oris Divers Sixty-Five Chronograph Bucherer Blue Editions is a steel version of the Carl Brashear Chronograph, meaning that it shares the same case, proportions and movement as these limited editions. Thus, we have a rather large 43mm case, polished and satin-finished, with the typical 65 shape. Being fitted with a more complex automatic chronograph movement, this watch is also thicker than the regular 3-hander. The water-resistance is still rated to 100 metres, thanks to a screw-down crown and a solid steel caseback. Under the ultra-domed sapphire crystal is a Bucherer-blue dial with a classic bi-compax layout, meaning a small seconds at 9 o’clock and a 30-minute totalizer at 3 o’clock. 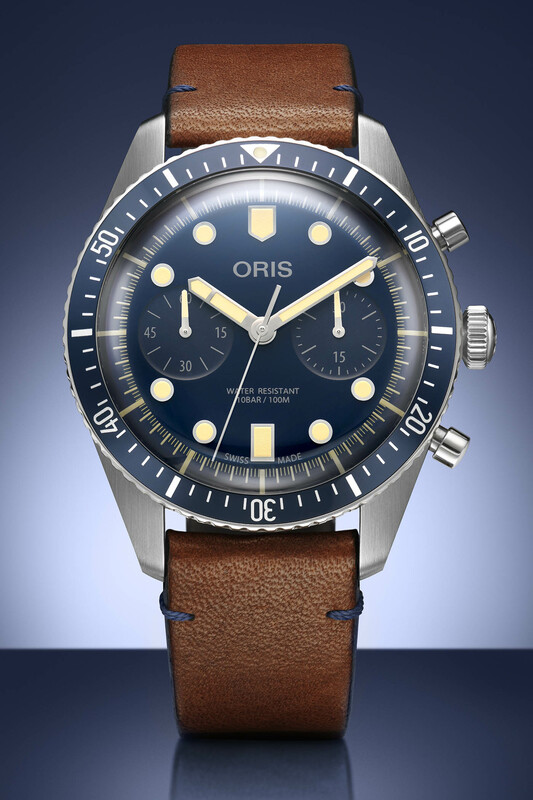 Hours and minutes are displayed centrally and Oris made the right decision to remove the date from this chronograph version. Compared to the Carl Brashear, the Divers Sixty-Five Chronograph Bucherer Blue Editions have slightly different hour markers, specifically for the 6 and 12. All of them, as well as the metallic hands, are filled with cream-coloured Super-LumiNova. Around the dial is a unidirectional bezel with a matching blue aluminium insert and diver’s scale. 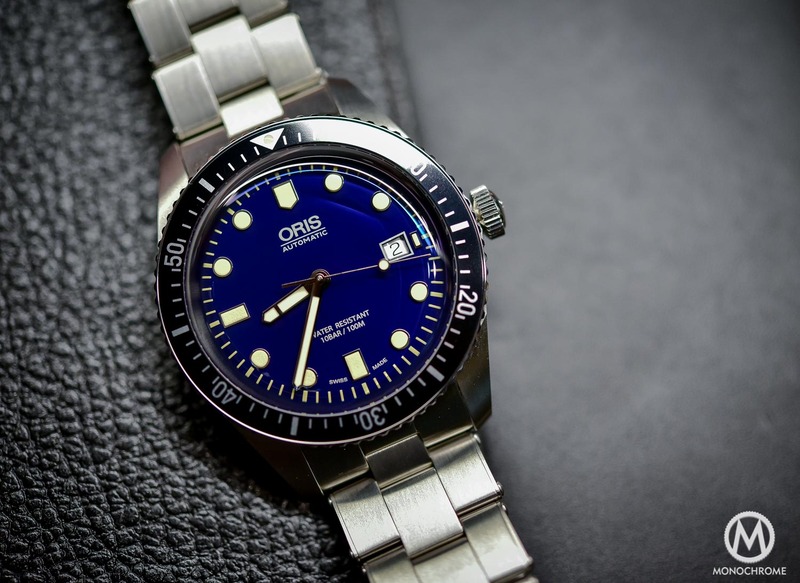 Inside the case is a well-known movement, the Oris calibre 771. This automatic chronograph is basically a Sellita SW 510, itself based on the reliable Valjoux architecture. This movement beats at a 4Hz frequency and boasts 48 hours of power reserve. 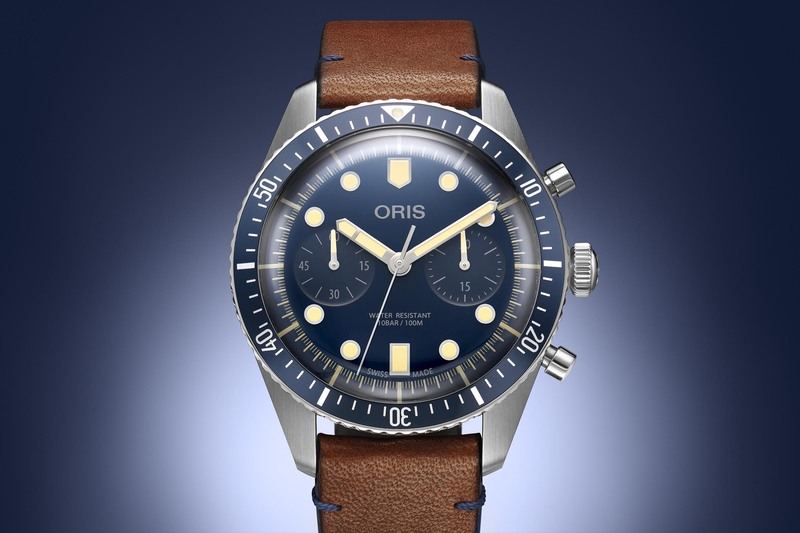 The watch is worn on a chocolate brown vintage leather strap, with blue stitching to match with the dial. It is secured by a steel pin buckle. The Oris Divers Sixty-Five Chronograph Bucherer Blue Editions is a non-limited edition that will only be available at Bucherer stores. It will be priced at EUR 3,900. 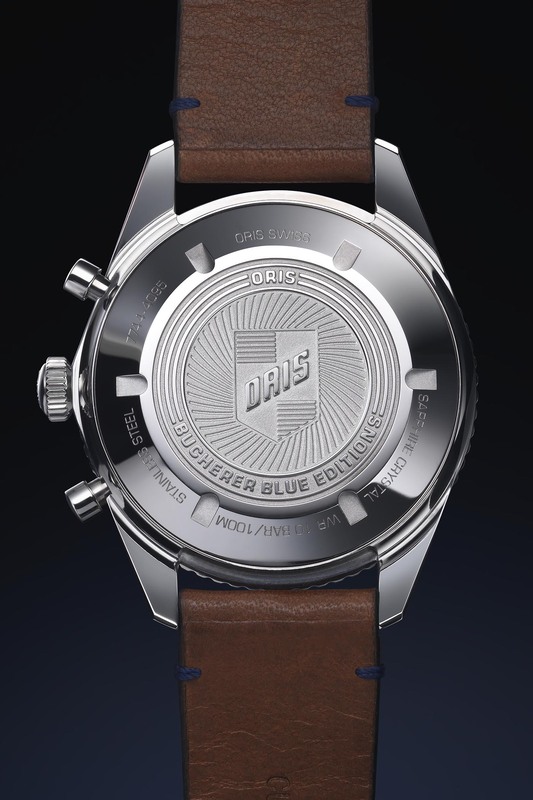 More details at oris.ch and bucherer.com. it would be interesting to know, how thick the watch actually is. You mentioned, that it is thicker, than the regular sixty-five, but that‘s usually the case. So, is it less than 15 mm or more? @Jan Hillesheim – it is indeed rather thick, due to the automatic chronograph movement and the highly domed sapphire crystal. While the thickness wasn’t mentioned by the brand, it will be the same as the bronze model, so around 16.5mm.